Why Should I Get Dental Crowns? Many people have heard of dental crowns before but are unsure exactly what they are, what they do, and whether they are a candidate. That is understandable because unless you have had dental crowns put in before, you would have no reason to seek out information. Here are the basic facts – Dental crowns and an easy, affordable, and effective way to cover up many signs of damage and decay while also helping to strengthen problem teeth. It is an option for a large percentage of patients, and the results are nothing short of stunning. Read on to learn more about why you should get dental crowns. Your smile is the highlight of your face and your appearance overall. For people with a perfect smile, it’s easy to be eager to show off a big toothy grin. But it you have a tooth that looks less than perfect because of damage or decay, you may feel less excited about smiling, and moments of humor and happiness might just leave you feeling self-conscious. Dental crowns are a great way to address the problem. This treatment method is quite simply a hollow cap that is placed over the problem tooth and cemented into place. It looks like a healthy and natural tooth. And once the dental crowns are in place, the parts of your smile that cause you the most worry instantly become invisible. Dental crowns are not the only way to transform a smile. And it is important to realize that they will not be the best option for all patients. But for many, dental crowns can finally correct the issues that cause them to feel self-conscious and uncomfortable when around others. The only way to know for sure if dental crowns are an option for you is to have a consultation with an experienced dentist. However, dental crowns can be applied to any tooth that is damaged or decayed but not to such an extent that it needs to be removed from your mouth. These teeth look unsightly. But they are also at risk of further damage or further decay. The problem may become worse as a result of eating. And since they are still exposed to everything else in your mouth, bacteria and other issues that compromise your oral health can cause the decay to accelerate. Dental crowns effectively cover and seal these problem areas so that the issues is stopped in its tracks. You get to keep a natural tooth in your mouth, and you have to worry a lot less about it becoming an even bigger problem than it already is. Dental crowns are an exciting way to improve both your appearance and your oral health. You may have avoided learning more about dental crowns because you assumed that getting them installed was a major process or having to live with them was a major burden. The truth is much different. You can have dental crowns installed in about two weeks, usually with only two visits to see the dentist. Installing them is a non-invasive and relatively pain-free procedure that creates little to no risk of side effects or complications. Once you have dental crowns, it takes no time at all to get used to them. Since they are customized to fit your mouth and bite, and then bonded firmly into place over you teeth, you do not feel like you have something foreign in your mouth. They feel as natural as they look. The long-term care and maintenance of dental crowns are just as easy. All you will need to do is brush and floss on a regular basis as you normally would. When you visit the dentist, the doctor will examine your dental crowns to ensure that everything is as it should be. But the risk and frequency of issues are both rare. 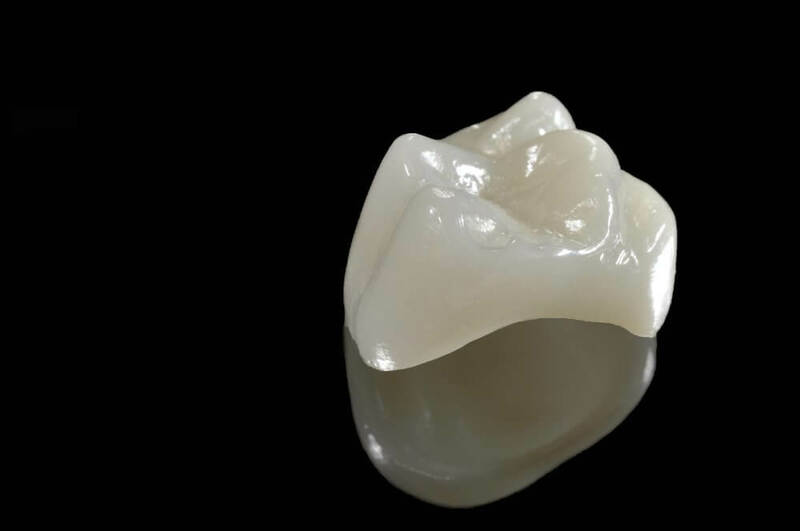 If you are serious about making a big upgrade to your smile, dental crowns are an option that deserves your consideration. Did you know that dental crowns can even be used to cover up an old gold tooth or metal filling? This has become such a popular treatment option because it resolves some of the issues that people hate the most about their smile. If you think that you might be a candidate for dental crowns, the first step is to schedule an appointment at McCauley Dental. We will give you a thorough examination, determine if dental crowns are an option for you, tell you about any alternatives, and then answer all of your questions. It is our number one goal to help you feel calm and confident about any treatment you receive in our office. Give us a call at (561) 272-8555.